Champions For Learning is proud to announce the recognition of William R. (Bill) Barker as the 2018-19 Heart of the Apple recipient. 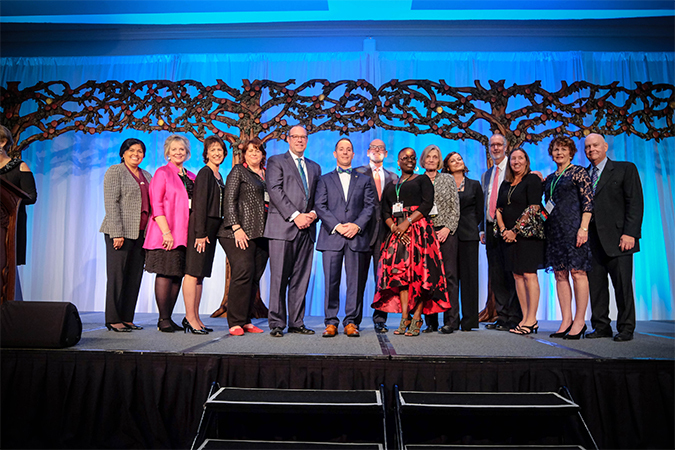 Each year, Champions For Learning awards a Heart of the Apple in recognition of sustained and committed leadership in support of building the culture of learning in our community through the mission of Champions For Learning. Bill’s professional interests as a career newspaper professional, and his own personal commitment to education and the role that education plays in thriving communities has inspired his leadership of Champions For Learning, The Education Foundation of Collier County. 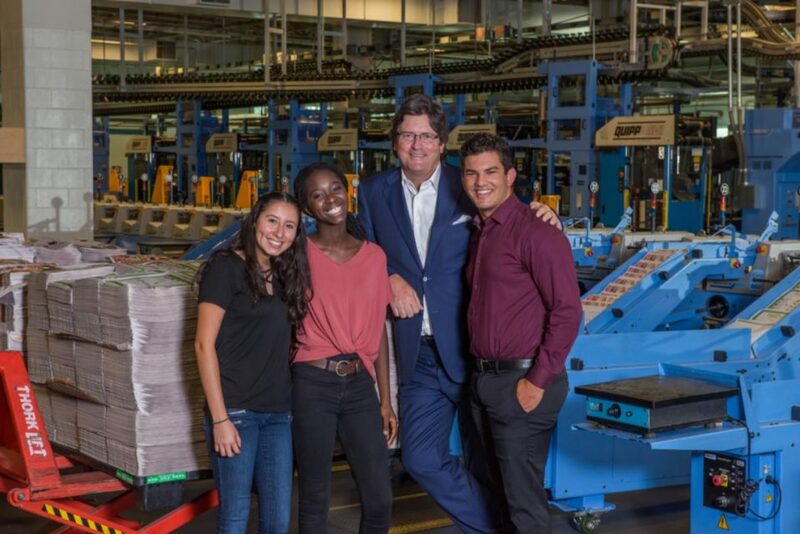 As the Regional President, Southeast, LOCALiQ and USA Today Network, and the Publisher of the Naples Daily News, Bill has been instrumental in continuing the almost 30-year partnership between Naples Daily News and Champions For Learning, with the newspaper as one of the founding partners. Bill has very clearly identified education as a fundamental driver of community and economy. And, as a Board Chair, and now Immediate Past Chair, Bill has provided significant leadership and has left a lasting imprint on the development of Champions For Learning. He has long understood the significant and unique role of an education foundation, and he leveraged his talents and vision to support Champions For Learning’s role in community collaboration, and was a catalyst in the effort to bring a community together around common goals through Future Ready Collier. Bringing his own strengths to this work has helped to “shine the light” on the fundamental role that Champions For Learning, teachers, students and mentors play in changing lives every day—making sure our students and teachers know they are worthy of headlines. Barker, along with all of the honored teachers in the Golden Apple teacher recognition program will be honored at the 29th Annual Golden Apple Celebration of Teachers Dinner presented by Suncoast Credit Union on March 29, 2019 at the Naples Grande Beach Resort. Opportunities to sponsor a school to attend the event are available. For more information on event sponsorships and ticket sales, click here. 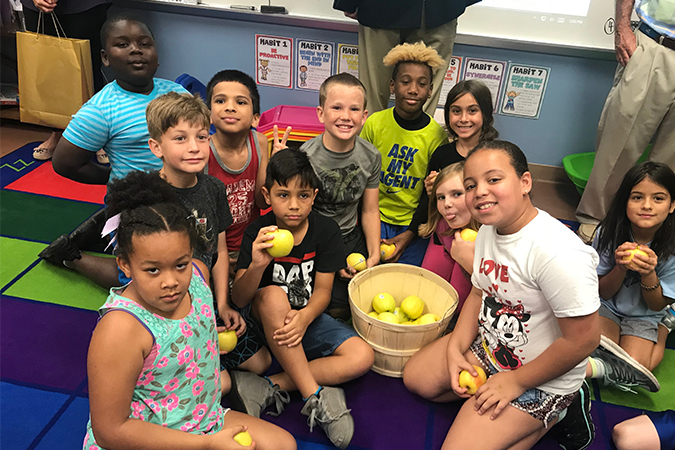 Today, students in six Collier County classrooms received bushels of Golden Delicious apples as their teachers were surprised with Golden Apple awards, which highlight best practices in teaching. Representatives from Suncoast Credit Union, Presenting Sponsor of the Golden Apple Teacher Recognition Program, were joined by Champions For Learning board members, sponsors, and volunteers to present the awards to the teachers in their classrooms. 59 Teachers of Distinction (4 co-teacher teams) representing 55 Collier County Public Schools shared their best practices. Champions For Learning’s community-based selection committee identified six (6) practices to highlight as part of the Golden Apple process. Congratulations to the following 2018-2019 Golden Apple recipients. See attached list for the names of the Teachers of Distinction. The 2018-2019 Golden Apple recipients will each receive a grant (up to $5,000) from Suncoast Credit Union to allow the building of best practices. All Teachers of Distinction receive a $250 award, and the Golden Apple recipients receive an additional cash award thanks to the Mary Ingram Fund of the Columbus Foundation. The Suncoast Credit Union Foundation is funded through the credit union members’ use of their debit and credit cards. The Suncoast for Schools Rewards Debit Card and VISA Credit Card program automatically generates funds that are dedicated to education and health-related initiatives benefiting children in the local community. The community will honor and thank the Golden Apple Recipients, Teachers of Distinction, and Collier County Public Schools’ Teachers of the Year at the Golden Apple Celebration of Teachers Dinner on March 29, 2019. We will also be honoring William R. Barker as the 2018-2019 Heart of the Apple recipient for his contribution to our community. The 2019 Golden Apple Celebration of Teachers is presented by Suncoast Credit Union and is generously hosted by the Naples Grande Beach Resort. Additional support is provided by our Major Sponsors: Conditioned Air, eBella Magazine, the Mary Ingram Fund of the Columbus Foundation, Moorings Park, Naples Daily News, NBC-2, and Wells Fargo. Opportunities to sponsor a school to attend the event are available. For more information on event sponsorships and ticket sales go to www.ChampionsForLearning.org/GA. Families, students, and the entire community are invited to join in the celebration by tuning in to NBC-2 for the Golden Apple television program highlighting the great work of teachers in Collier County classrooms. The program will be aired on Friday, March 29 on NBC-2 at 8:00pm, and rebroadcast multiple times after on The Education Channel. 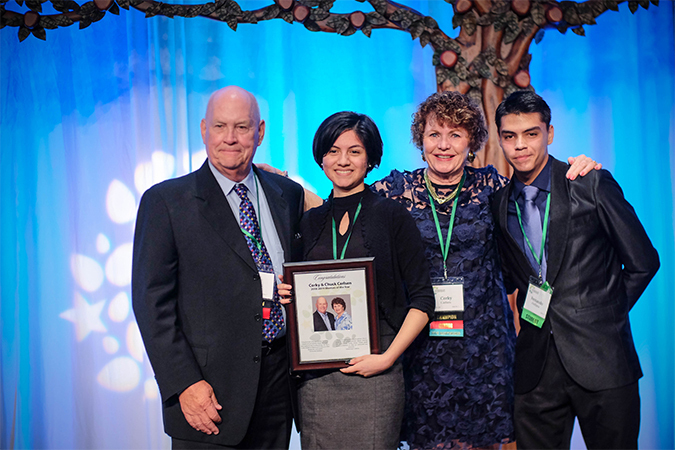 Chuck and Corky first became involved with Champions For Learning by mentoring two students through the Take Stock in Children program, and brought their passion to the success of their mentees. Chuck joined the Board of Directors and serves as the Vice Chair of Community Outreach. His leadership with the Champions For Learning Ambassadors Council has helped the volunteer outreach group to recruit a significant number of volunteers and mentors. Chuck and Corky are also this year’s Mentors of the Year. 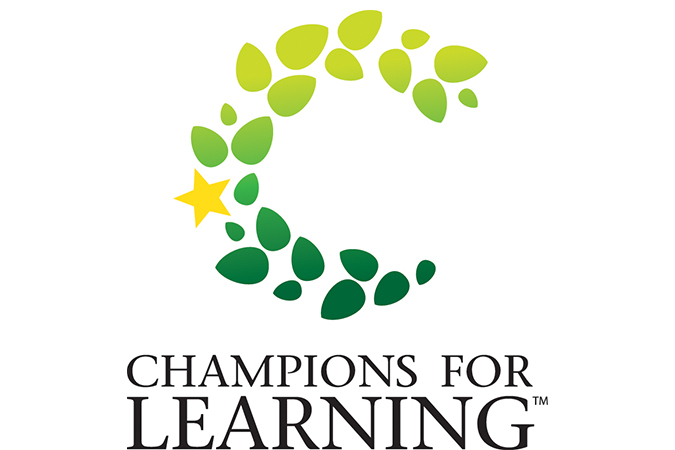 On February 1 ,Champions For Learning is honored community leaders. These individuals were honored for their impact on the lives of students through mentoring, leadership, collaboration and community involvement with educators or students. These honored Champions exemplify what it means to make a commitment to our students and their future. Proceeds for this event helped support Champions For Learning student programs including College & Career Readiness programs and scholarships. Ingrid & Fabrizio Aielli: Ingrid and Fabrizio are the owners of the Aielli Group, a company that operates the restaurants Sea Salt Naples, Sea Salt St. Pete, Barbatella, and Dorona. Stacy & Todd Bradley: Todd, of Cummings & Lockwood, serves on the Planned Giving Council. Stacy, a long-time educator, has volunteered on the Golden Apple Selection and Grants Committee. Corky & Chuck Carlsen: Corky and Chuck became involved with Champions For Learning by mentoring two students through the Take Stock in Children program. Corky and Chuck are the 2019 Mentors of the Year. Yolanda Flores: Yolanda is currently the Administrative Director for Postsecondary Adult and Community Education for Collier County Public Schools. Florida Prepaid College Foundation: Stanley G. Tate Florida Prepaid College Foundation has awarded over 44,705 scholarships and collaborated with 170 local community-based organizations. Mary Lynn Hill: Mary Lynn serves on the Champions Advisory Council and as a active Glass Slipper Alumni recipient, helps to raise scholarship money for female graduates. Sharon Hood: As founder and publisher of èBella magazine, Sharon enjoys telling her 22,000 readers about Champions For Learning and how they can get involved. Charles Kerwood III: Charlie, of Waller Financial, is involved through the Planned Giving Council and serves on a student selection committee for Champions For Learning. Mike Martin: As current President of Florida Gulf Coast University (FGCU), Mike has brought his philosophy that to be a good citizen people need to participate in the community. Dawna E. Pipersburg: Dawna, of Rembrandt Accounting, is involved in the Take Stock in Children student selection committee. and serves on Champions For Learning’s Board of Directors. Steve Pontius: Steve is the Executive Vice President of Waterman Broadcasting Corporation and General Manager of our NBC2 media partner. Carol Windfeldt: Carol, a long-time volunteer, has helped facilitate the organization’s strategic planning process, most recently resulting in the new vision and refreshed mission statement. After 25 years and more than a million miles on Florida’s highways, the Support Education specialty license plate has a fresh look. While the design is new, the cause remains the same – when a Florida resident purchases or renews their Support Education specialty tag, $20 goes directly back to support schools, teachers and students in the county where the tag is registered. In Collier County, Champions For Learning, The Education Foundation of Collier County, invests 100% of those proceeds into classroom grants. Since its introduction as Florida’s second specialty license plate in 1994, over $13 million dollars has been raised through the collaborative efforts of the Consortium of Florida Education Foundations (CFEF) and local education foundation members throughout the state. 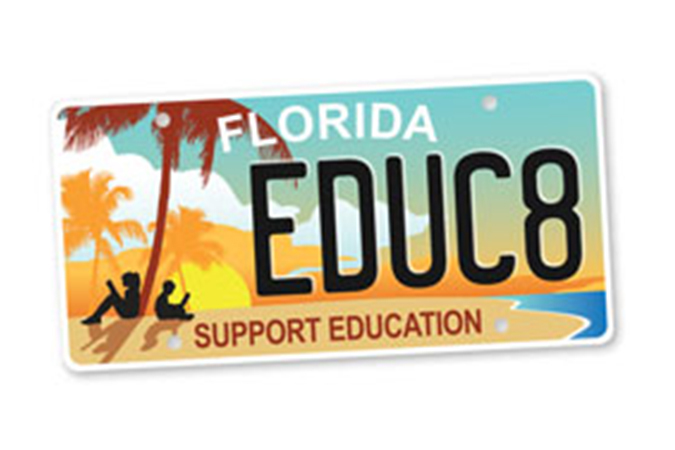 The new design promotes the importance of education in the Sunshine State and is among only a few specialty tags in Florida where the money goes directly back into the county where the tag was purchased or renewed. 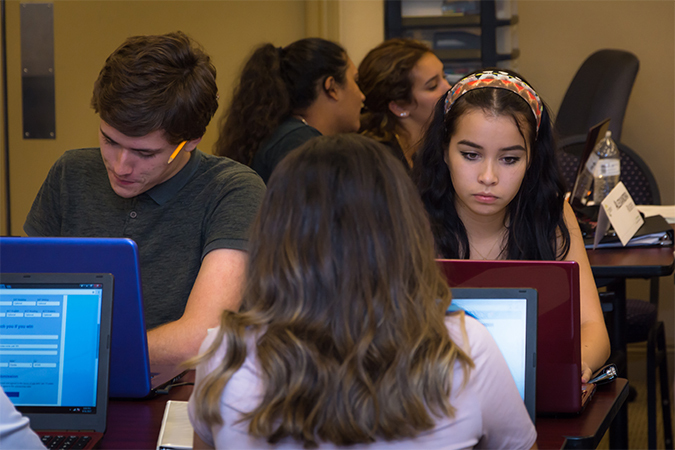 Florida’s K-12 local education foundations invest in classroom innovation, recognize excellence, and provide targeted support beyond what tax dollars provide such as free school supplies for students who can’t afford them, classroom grants for teachers and after-school enrichment programs. The annual fee for the Support Education specialty license plate is $25. Local taxes and state fees may apply and first-time purchase price and fees may vary based on scheduled vehicle registration renewal date. The new Support Education tag design is available now and can be purchased in-person at your local tax collector office or online at LicenseToLearnFL.com. New year, new opportunity to learn how to be a life-changer! Champions For Learning is kicking off the new year by opening our doors and inviting the community to connect with our students, teachers, volunteers, and staff, and tour our newly renovated space. Attendees of the open house will learn about the mission, impact and ways to get involved. Bring a friend! For information, please RSVP to Rachel Welch at RWelch@ChampionsForLearning.org or (239) 643-4755. 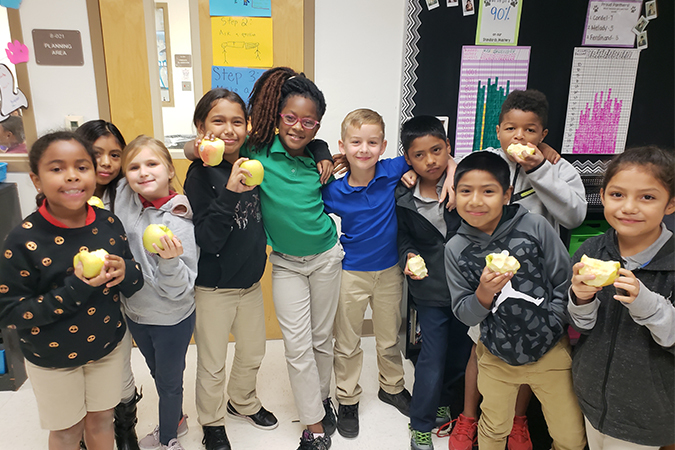 On February 23 students in five Collier County classrooms received bushels of Golden Delicious apples as their teachers were surprised with Golden Apple awards, which highlight best practices in teaching. Representatives from Suncoast Credit Union, presenting sponsor of the Golden Apple Teacher Recognition Program, were joined by Champions For Learning board members, sponsors, and volunteers to present the awards to the teachers in their classrooms. This year each school brought forward a teacher and best practice to highlight on behalf of their school. From this group of Teachers of Distinction, Champions For Learning’s community-based selection committee identified five teachers to highlight as Golden Apple recipients. Congratulations to the following 2017-18 Golden Apple recipients. See attached list for the names of Teachers of Distinction. The 2017-18 Golden Apple recipients will each receive a grant (up to $5,000) from Suncoast Credit Union to allow the building of best practices. All Teachers of Distinction receive a $250 award, and the Golden Apple recipients receive an additional $500 award thanks to the Mary Ingram Fund of the Columbus Foundation. The community will honor and thank the Golden Apple Recipients, Teachers of Distinction, and Collier County Public Schools Teachers of the Year at the Golden Apple Celebration of Teachers Dinner on April 16, 2018. We will also be honoring Thomas Riley as the 2017-2018 Heart of the Apple recipient for his contribution to our community. The event is presented by Suncoast Credit Union and is generously hosted by the Naples Grande Beach Resort. Additional support is provided by Adams Food, Inc./McDonald’s, CenturyLink, Conditioned Air, eBella Magazine, the Mary Ingram Fund of the Columbus Foundation, Moorings Park, Naples Daily News, NBC-2, Perna-Rose Foundation for Hope, Wells Fargo. Families, students, and the entire community are invited to join in the celebration by tuning in to NBC-2 for the Golden Apple television program highlighting the great work of teachers in Collier County classrooms. The program will be aired on April 22 on NBC-2 at 7:00pm, and rebroadcast multiple times after on The Education Channel. 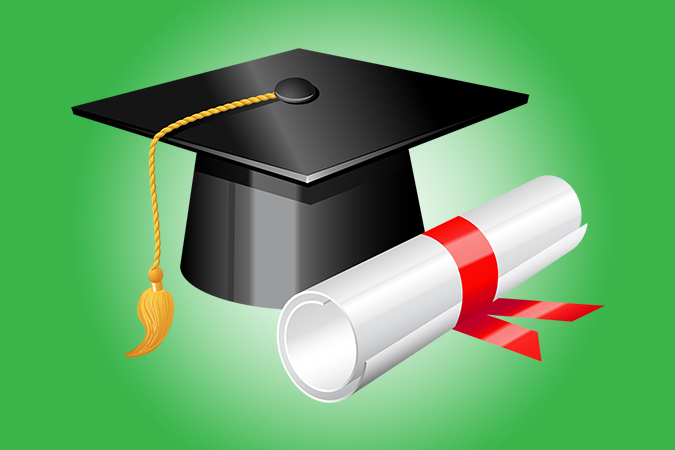 The Suncoast Credit Union is partnering with Champions For Learning to offer five (5) $2,000 scholarship awards to high school graduates in the Class of 2018. Class of 2018 high school graduates in Suncoast Credit Union’s 21-county service territory have the opportunity to apply for financial support to continue their education, thanks to a $116,000 investment in scholarships by the Tampa-based credit union’s Foundation. Applications are now open and are available. Click here to download the application. All applications must be received by 5pm on January 12, 2018 at the Champions For Learning office, 3606 Enterprise Avenue #150, Naples, FL 34104. This year’s Suncoast Credit Union Scholars program represents a continued philosophy of the foundation to support education initiatives and the well-being and potential of children. Since its inception in 1990, the Foundation has contributed more than $19 million including more than 600 student scholarships valued at nearly $1 million. We are extremely proud of our recent college graduates and would like to wish them good luck on their future endeavors! Your ticket for the: Congratulations College Graduates!